A New Zealand eco-timber company has partnered with an award-winning Arrowtown architectural firm to make a statement in Cardrona Valley. A six-million-dollar development has been announced by Abodo Wood to showcase how local alternatives for imported old-growth cedar can withstand Central Otago’s harsh alpine climate. 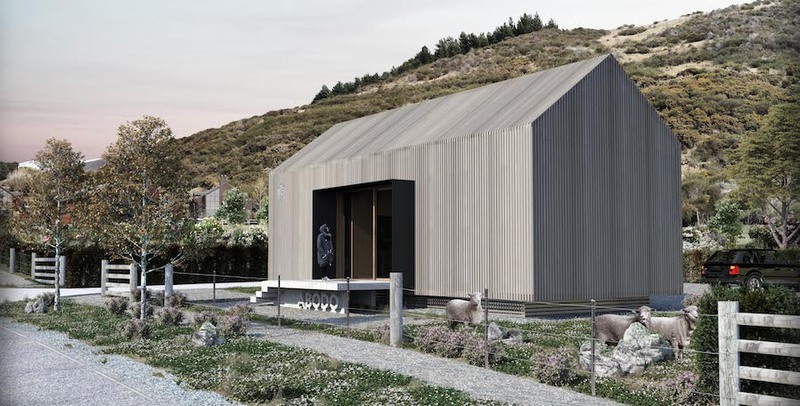 The development, in collaboration with Assembly Architects of Arrowtown, includes a 102-square-metre show home and seven stand-alone visitor accommodation chalets. It will be Abodo’s first South Island development, with construction of the show home expected to begin in January 2019. Abodo launched in New Zealand 16 years ago to offer an alternative to destroying threatened old-growth forests around the world. The company sources its Forest Stewardship Council (FSC) timbers, which will be used throughout the Cardrona Valley project, from New Zealand plantation forests. Crafted from thermally modifying timbers, Abodo transforms radiata pine using heat and steam, avoiding toxic chemicals, to double its stability. Director Daniel Gudsell says it is exciting to be a part of Cardrona’s future. Daniel says the exterior timber of the Cardrona buildings will be treated with a silicate wood coating to help the structure blend in with the historic surroundings of the village as it weathers. With a shared love for natural materials, Assembly Architects has specified Abodo’s suite of products on several residential projects, and most recently a multi-story hotel in Wanaka. Justin says the weathered Abodo product is an interesting one.